Me and my Papie in my Red Devils uniform. 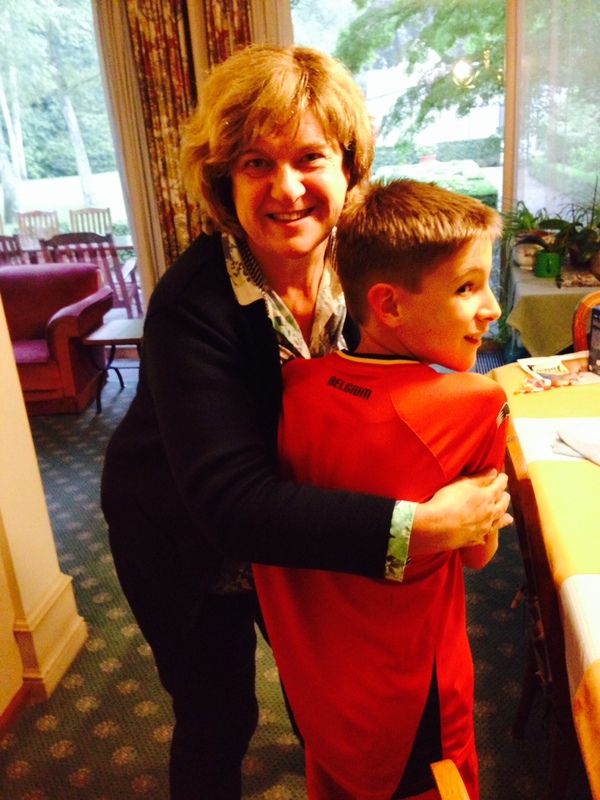 Me and my Meter, Tante Patty with A Belgian Soccer Uniform. That’s me as a future Red Devil. Yesterday, we stopped at Decathalon, a huge sports warehouse, on our way to Central Antwerp. We needed rainwear or ponchos because we forgot ours and it is Belgium. 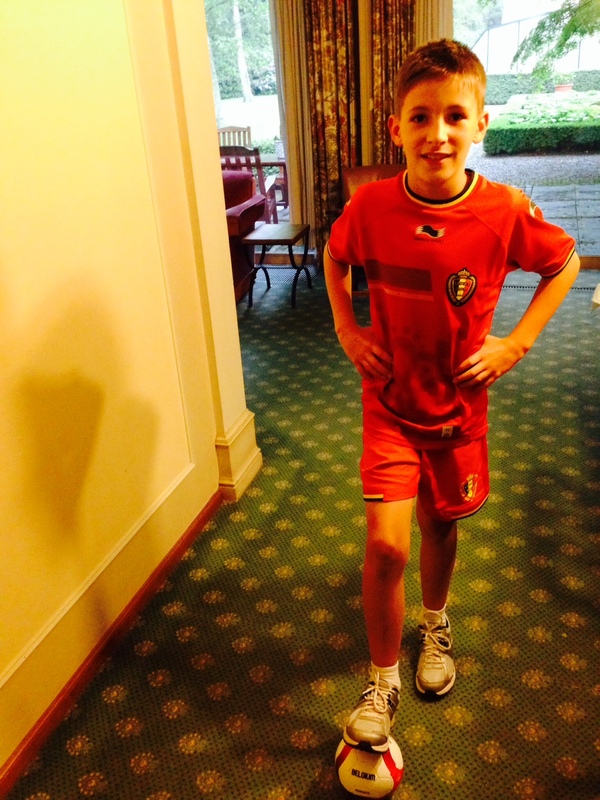 While I was there, my dad saw they had the latest World Cup Strips (uniforms) for the Belgium National World Cup Team. They are called the Red Devils. So, he bought me a full uniform, shirt and shorts. My Meter (godmother) and Aunt Patty, bought me a Red Devil’s Tee Shirt. I am going to wear my new uniform all day today. I like Belgium to win or be a real danger to the whoever the winner is going to be. Most of their front-line players play in the British Premier League. They have a great defense with Courtois at Goalie and Kompany and Vermaelen and Vertonghen on defense. The strikers are world class with Eden Hazard and Lukaku. The mid-field is their weakest but not by much. Everyone here in Belgium are excited and I hope I can watch some of the games as we travel. 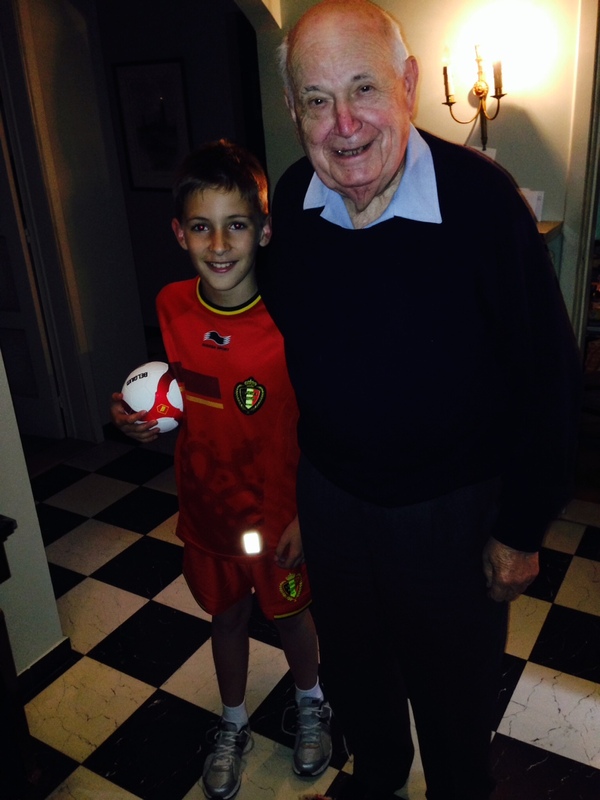 Here are some photos of me in my new Red Devils strip with my Papie, my Meter (Tante Patty) and me alone.